Collins Heating & Cooling - Your Highland Indiana HVAC Professionals. If you are looking for a reliable heating and cooling company you are in the right place. 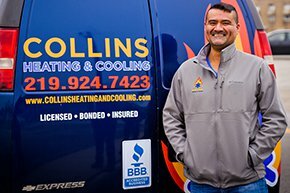 Collins has been serving the Northwest Indiana area for over a decade, building a solid reputation on honesty, integrity, and old-fashioned values. We are a locally-owned company delivering a variety of home comfort services including heating, air conditioning, and indoor air quality solutions. We provide outstanding workmanship, exceptional service and upfront pricing. 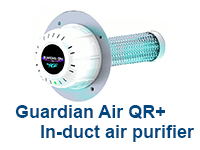 Whether you need a system repair, replacement, maintenance or want to improve the air quality of your home or business. You will receive the personalized solution you need at a fair price. 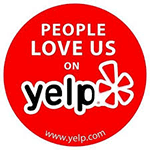 As a local business we are extremely dedicated to providing the best customer experience we can. Our repeat customers and property owners have been our greatest supporters and we are proud to say that much of our new business comes in the form of referrals from our satisfied customers. There are a lot of HVAC companies in the area, and we know you have a lot of options. 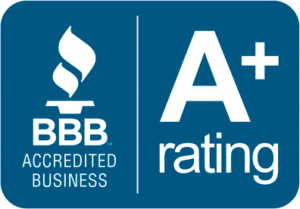 But when your choose Collins to take care of your heating, cooling or indoor air quality issue, be assured that we will do our best to make you a life long customer. Call us today at (219) 924-7423 and speak with one of our HVAC technicians to discuss your needs and schedule service. You’ll never have to worry about a gotcha moment with us because the cost of your services are always discussed in detail before we start any work. No surprises, and no hidden fees. At Collins we’re all about treating our customers right and forming long term relationships. No matter the problem you may be experiencing you can be assured that we will always provide you with a solution that meets your unique needs. 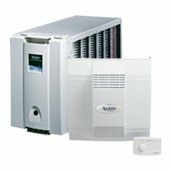 We take great pride in educating our customers on their HVAC systems. We listen to your concerns & questions, address them and provide you with options that best fit your needs. 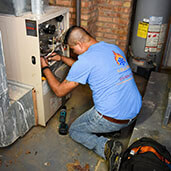 We are focused on providing our customers with the best solution to their heating or cooling issue. We always look for a cost saving repair option when possible and never push unnecessary services. We treat your home like it was our own. We wear shoe covers before entering and clean up after our work is completed. You never have to worry about cleaning up after a service call. We are a fully licensed, bonded & insured HVAC company. You can trust that your home and family are fully protected when you work with us. Mark is unquestionably the most dependable and honest business owner out there. When he says he will be there at a certain time, he is. Once he starts the job, he stays on it till completion. And you will always get a very fair price and a guarantee. A business owner is only as good as his word and Mark's is as good as gold. Pleasure to work with someone who is so honest and caring. I feel immensely grateful to have Mark Ortiz with Collins Heating & Cooling servicing my area. As a new homeowner, I've encountered a couple of issues over the past few months, and I sincerely don't know what I would have done without him. 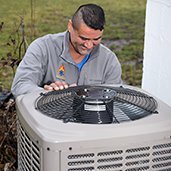 Recently, my A/C unit was not functioning properly, and I was immediately calmed by Mark’s quick follow-up, professionalism, very reasonable prices, and his ability to simply "get the job done". OUTSTANDING company and customer service. Thank you, for everything. Mark came on time and he explained everything he did he did the best job ever and I truly appreciate him. He was extremely professional and I trusted his word. And his prices are very reasonable and fair. And he taught me a thing or two about my air conditioning system. I am always afraid to have service man come to the house but I truly felt safe with him. I will definitely be calling for his service again and recommending him to my other coworkers friends and neighbors. Excellent customer service and very professional honest company! 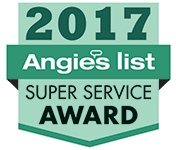 Came out to install our new furnace after we discovered a gas leak on our very old furnace, it needed to be replaced and he recommend a great solid product and was very prompt and courteous. Mark is phenomenal he lent us radiant space heaters in the meantime to help keep the house warm. Call Us Today (219) 924-7423 Or Request An Appointment Online.